For two weeks this summer I, Sam Waddington from Hampshire, will be jetting off to Eugene, Oregon in the USA to complete an exciting one-way ,cultural, voluntary work exchange program courtesy of an organisation in America known as Mobility International USA (MIUSA) all about promoting disability rights through cultural inclusion. After a lengthy application process, I was chosen as one of the seven disabled young adults (aged 16-18) from the UK for the exchange. From the 19th of July to the 2nd of August time will be spent with these youngsters, all of whom have varied disabilities and backgrounds. Engaging in a diverse range of cultural activities, from workshops involving well known disability rights campaigners enhancing understanding of disability rights to team-building excursions like city visits, encouraging disabled youngsters to unite in an effort to promote cross-cultural disability inclusion. This will allow the candidates to broaden their horizons via eliminating any cultural barriers. Five nights will be spent in a local American family home to gain a first-hand experience of a different culture. Whilst staying in all accessible hotels in Eugene and Portland in Oregon, for the rest of the program. Apart from a few nights spent camping in Oregon’s largest nature park. 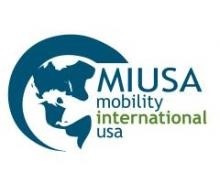 The whole trip will be funded for by MIUSA and they are not just providing opportunities to witness a different culture with people from different cultures, the chance to carry out voluntary work combined with team building with other American peers will be a great way of gaining a cross-cultural experience. For me, this will I am sure be a really positive experience and hopefully I can take a lot from it. See what I got up to and what I took away from the program when I write a report about my experiences after the trip. Also, don’t forget to keep up to date with my adventures whilst I am out there and the build up to it all.